My third Romance and the one that got away…..literally | Redline: Live to Drive! The obsession with the NSX began when I was 14, sitting in the passenger seat of my brother’s car, and this “ferrari” flew by us with a gorgeous exhuast note. I swooned over it’s curves, so balanced, the equivalent hourglass figure of the automotive world. It was at that point when my lust began and my true love for cars came to be. I did not choose to divulge much into the details of the car, other than the fact that I wanted one so very badly. During my prelude ownership, I found the car to be getting to the point of boredom for me. The desire to get a new toy to play with, something a bit more exotic, a bit more exciting and something that is still highly tunable, was eating away at me every passing day. My search for a new carmance had officially began. At this point I never looked into the price of an NSX as I always thought it would be way out of my price range since I was like most people and looked at new cars, like 350Z costing well into the 40000$ range thinking to myself if that car is that expensive there is no way in hell I can get into even an early year NSX, how wrong I was. The NSX is a very complex car to say the least, and if someone met me they would be completely educated in every single way when it comes to all the various models of the car during its 1991-2005 production lifespan. I gotta thank all my fellow NSX prime members (www.nsxprime.com) for teaching me all there is to know about the NSX. All I knew at the time (7 years ago) was that I could get into the driver seat of one for under 30000$ and I predicted at the time that their values have bottomed out (needless to say I was right about that one big time). 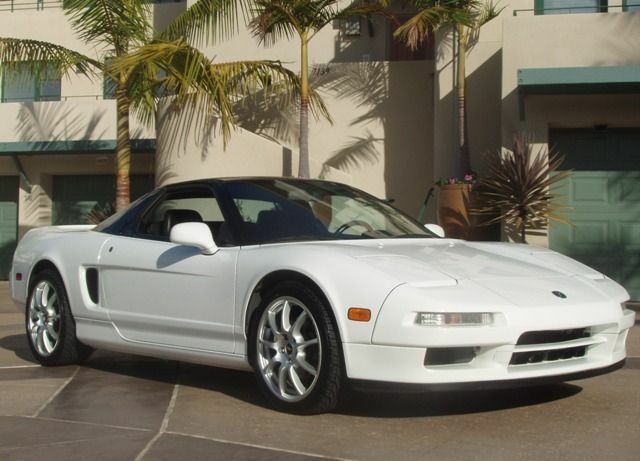 I made my move, at the age of 20, and bought a White 1992 NSX for 26500 USD with 80000 miles on the clock. Now the the modification bug was in full force with one of the most rewarding cars to customize and tune there ever was. First off I have to take my hat off to the guys at scienceofspeed (www.scienceofspeed.com) and Cody at Lovefab Motorsports (www.lovefab.com) for being the ultimate NSX professionals when it comes to maximizing the performance out of the NSX! These guys truly know what they are doing! To sum up the Performance modifications I did, here is a short clip 🙂 …… Ummmmmm please ignore the mis-shift and my foul language following it. I loved the original pop up look but the 2002 NS2 NSX-R was always the super model of the NSX family and was a look I needed to have. North America had never received any NSX-R therefore all us junkies could do in North America to truly re create a left hand drive, hardtop, NSX-R replica was to buy a pre 1995 (hard top, not targa) and all the associated 2002 face lift parts and get them installed. 13000$ and a million headaches later, the job was done from emblems, wheels, steering wheel, headlights, tail lights, rear bumper/valence/diffuser, everything to make the car look like the NSX-R that I dreamed about. It was so beautiful, still to this day one of the most attractive cars on the road today. Then came that damp morning, mid October, when I had to bring the car to the garage I was storing it in for the winter. I thought to myself since it was the last day I will drive the car until I put it to sleep I may as well give it one more good acceleration before I say goodnight for it’s 6 month hibernation. I learned my lesson that day to never underestimate any vehicle when the roads are damp going high speeds around slight corners, because the slightest imperfection can cause fatal mistakes. This is a serious warning to anyone who wants to act stupid as I did, because that was the luckiest day of my life and take my word for it when I say I could have easily killed myself and many others who were in the area, and there were a lot of people. I also have to really give Honda Kudos for their build quality, since I smashed into a wooden utility pole at over 100 KPH and the car protected me perfectly, not even a scratch. Seriously Honda, thank you for making such safe vehicles. It’s so true in life that the best lessons learned are the ones where we make the biggest mistakes, those life altering mistakes that make you evolve as a person. This day was one of those days, and from that day forward the respect I had gained for high performance cars grew exponentially. If you want to drive hard, make sure it’s in the safest most remote areas possible, more important away from harming innocent people. If you want to get a thrill and hurt yourself so be it, but don’t be selfish and do something so stupid and put other people at risk like I did. Take it from me, the memory or swerving uncontrollably for 500ft and smashing into a pole is not something you want implanted in your mind as vivid as the day it happened. Live to drive, but drive as safe a possible and make sure you respect these machines we drive. Live to Drive! But more importantly, stay alive and be safe. How devastating to lose your car like that. Glad no-one was hurt also. Yes it was quite the memory to say the least. But I walked away safely. Crazy thing is if you desire something so passionately and literally outline steps you can take to acquire them…..suddenly they become realities. Indeed! Wisdom well-timed and well-said. What an exciting blog! glad you’re safe and are still around to publish. Thanks for the comment! Luckiest day of my life and definitely the best way to learn a lesson and share with others in hopes they will not do the same thing as I did…..unfortunately it did not satiate my need for speed, if anything I crave it even more ……safely of course!! Thanks for following. What a way to lose a car. I have to say, the Passenger touch at the end was perfect and poetic. Thank you so much for the comments and for the follow, it really was a tough day to say the least and lesson learned in the ultimate way.